Chances are you know a thing or two about the Flying Dutchman, perhaps after seeing it rise from the sea in Pirates of the Caribbean: Dead Man’s Chest. In the Hollywood franchise about piracy, the Flying Dutchman is notorious for spreading terror across the seas, while being capable of sailing on the surface as much as underwater –disastrous for those who happen to cross its path. 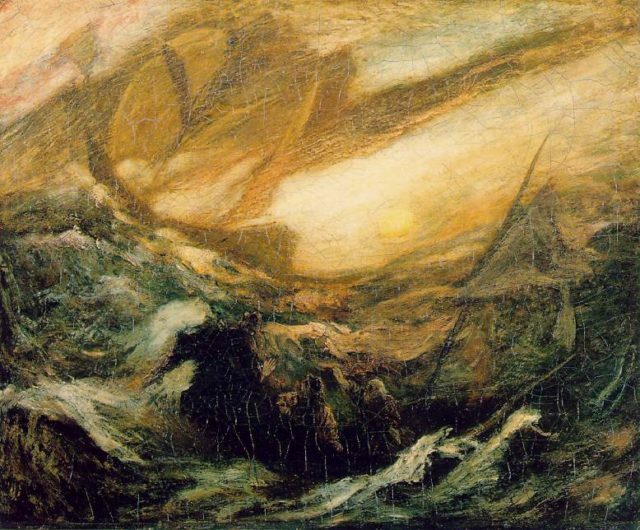 As sailors get absorbed by the vicious powers of the Flying Dutchman, they lose their humanity, even having characters integrated into parts of the doomed vessel in the movie. However, the idea of the Flying Dutchman did not come out of the blue to the Pirates of the Caribbean screenwriters. Their inspiration was undoubtedly the actual Flying Dutchman of ocean lore. 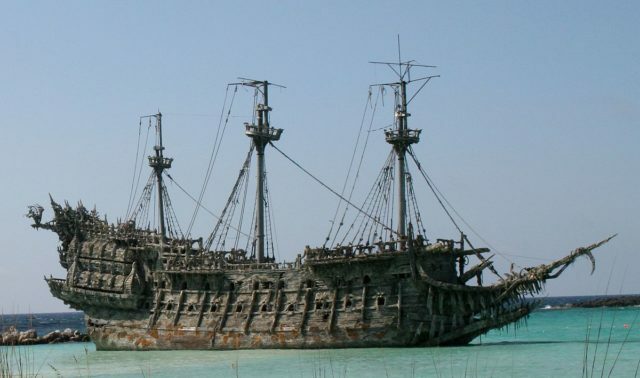 According to legend, the Flying Dutchman is a phantom ship doomed to sail the open seas and oceans for infinity, never being able to return home. The myth can be traced back to 17th-century nautical folklore that was heavily nurtured by superstitious beliefs of all sorts among sailors. 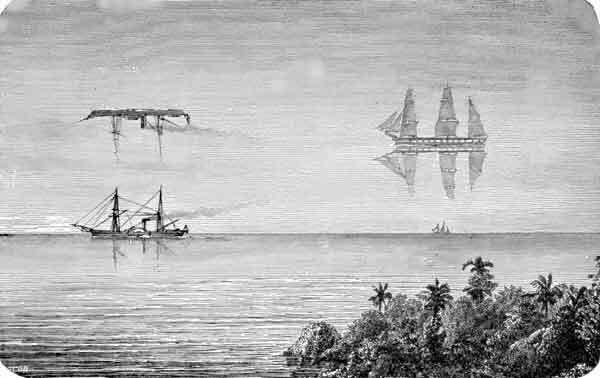 Early written accounts of the Flying Dutchman are dated to the 18th century and alleged sighting of this otherworldly vessel was well reported through most of the 19th and 20th centuries, too. The majority of reports have further claimed that the ship looked most unusual as it was always glowing in a sort of ghostly light. In nautical lore, the sight of this phantom ship was regarded as nothing but the worst omen of all, and that belief persisted for quite a long time. Had a vessel crew member seen the Dutchman, they most certainly feared that one way or another misfortune will soon come after them. Another reference in literature can be checked in A Voyage to Botany Bay from 1795, written by a notable London socialite of the 18th century known as George Barrington. He recollects a similar story as MacDonald, adding that he most often heard of this superstition from sailors who were prone to put their faith in doom and apparitions. As Barrington retells the story of a lost Dutch frigate off the Cape of Good Hope, he concludes that the narrative was quite quickly spread and known among mariners. The “Flying Dutchman” prop from the Disney movies “Pirates of the Caribbean Dead Man’s Chest” and “At World’s End”. Many have tried to find a logical explanation behind the entire story of the Flying Dutchman, and why this vessel was even doomed. Some have explained that the crew on the vessel was cursed because of severe criminal actions conducted aboard her, including murder and piracy. People have also wondered who could be the captain of such ship, hence the famous movie quote the Dutchman must have a captain. Historical accounts suggest a person from history, a 17th-century Frisian-born Dutch captain named Bernard Fokke, who sailed the seas for the Dutch East India Company. He was well noted for the incredible speed by which he completed his journeys from the Dutch harbors to Java, Indonesia. In one instance in 1678, he reportedly traveled this distance in not more than 3 months and 10 days, to deliver a stockpile of letters to the Dutch governor. Such fast trips led some people to suspect that the captain was helped by the Devil. There have been many supposed sightings of this doomed vessel. Writer Nicholas Monsarrat, noted for his book The Cruel Sea from 1951, apparently witnessed the phenomenon in the Pacific, while serving as a Royal Navy officer during World War II. Perhaps one of the most prominent reports of all was made by Prince George, the future King George V, as he was completing a three-year-long journey in his youth, accompanied by his elder brother, Prince Albert Victor, known as David, the future King Edward VIII. The log of the royals dates the event of seeing the Flying Dutchman on July 11, 1881. The occurrence reportedly happened off the Australian coast, amid the Bass Strait in between Melbourne and Sydney. As described in their log, the phantom ship appeared in an unusual glowing red light. As the ship of Prince George approached the place where the mysterious vessel was supposed to be, there was no trace left of it in any direction, although the night was clear and the sea was at peace. 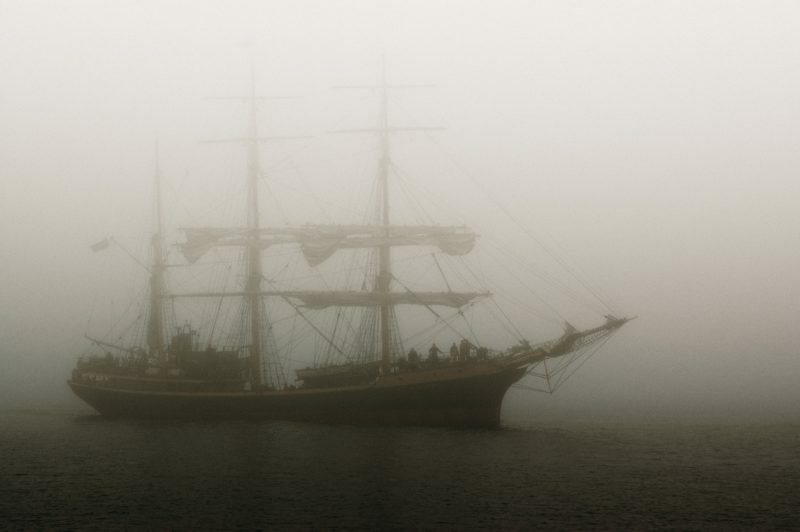 The Flying Dutchman may have remained an inexplicable mystery among sailors for all time–until the moment people found a way of explaining the mystery by embracing the knowledge of optics and some science. As the royal log suggests, the night was clear and the sea was peaceful. That would be two of out of the few conditions that require a Fata Morgana to happen. 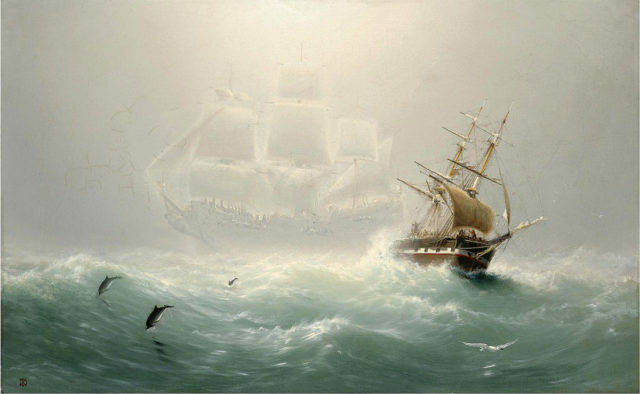 This optical illusion that occurs in a narrow band of light just above the horizon is now widely considered the reason why some have “seen” the Flying Dutchman. When Fata Morgana occurs, under specific conditions in the atmosphere, it is able to generate a distorted superior image of a real object, such as a ship below the horizon. To answer whether the Dutchman has a captain–Fata Morgana just may be the correct answer.